. . .and what to do when you’re here in SF. to find the one that I still love. It’s you I’m dreaming of, San Francisco nights. San Francisco days, San Francisco nights. San Francisco…The City by the Bay. This singular destination has inspired songwriters, artists, writers and of course….travelers. While I have been to San Francisco several times, I will candidly say that each time I visit I notice new and exciting features that compel me to embrace this city as one of my favorite destinations. From a city that continues to grow and evolve as the hub of the dot com industry to one that exudes European sophistication and charm…where people take time for themselves and enjoy the numerous cafes and restaurants that line every corner. On this trip, I spent more time around the bay and noticed the influences of the bay and the micro-climates on the city than ever before…and it was magical. 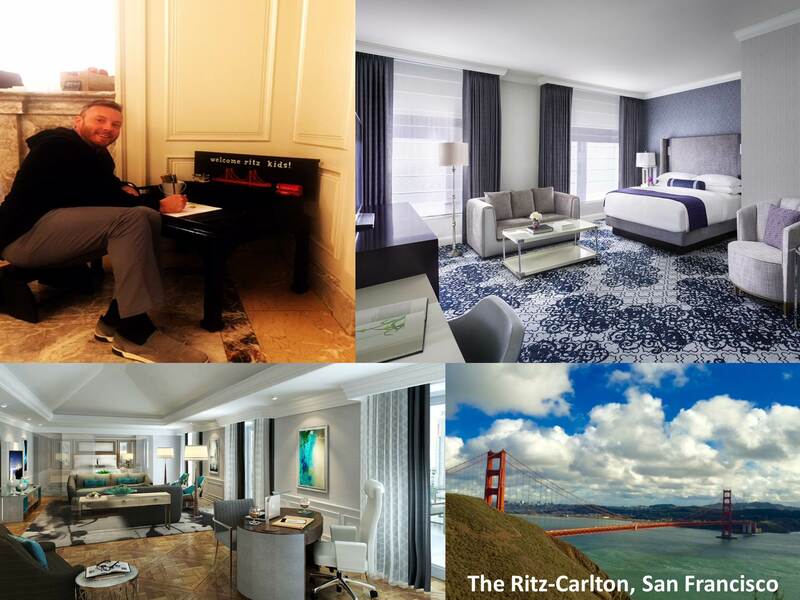 There are so many reasons to visit San Francisco and the surrounding areas…and one of the best, is the opportunity to combine a town and country experience with The Ritz-Carlton, San Francisco and The Ritz-Carlton, Half Moon Bay. These two iconic properties have just emerged from transformational renovations where the magic of the destination is now displayed throughout the décor and offerings of each hotel. Heard of the famous “Painted Ladies” in San Francisco?!? The iconic cluster of row homes made famous by many television shows?! Well, I actually learned that there are painted ladies all over San Francisco. Any Victorian era row home that has three or more colors of paint are considered a painted lady. Who knew!? On a side note…for architecture lovers…there are over 14,000 Victorian homes left in san Francisco. Visit Café Zoetrope, located at 916 Kearney Street. Named after Francis Ford Copola’s production company, this restaurant offers wonderful Italian fare that should not be missed. The Buena Vista Café for the most amazing Irish Coffee! The best pizza in the city can be found at Tony’s Pizzeria Napoletana. The restaurant is home base of 11 time World Pizza Champion Tony Gemignani. Best photo op of the Golden Gate Bridge is from the Marin Headlands! Not to be missed!!! Enjoy your own private “Sideways” experience in the comfort of The Ritz-Carlton. Eno Wine Bar is a gorgeous venue for tine flights and tastings by two heralded sommeliers.